The convenors of our African and European regional ‘hubs’ work closely with the CAADP Co-ordinator and communications team. Find out more about what the hubs do and how we work. Dr. Kwadzo is a Lecturer in the Department of Agricultural Economics and Agribusiness,University of Ghana. he holds a B.Sc (Hons) Agriculture (Economics) from the University of Ghana and a Ph.D from the University of Strathcyde, Glasgow, Scotland. He has over twenty years’ experience in micro & macro financial analysis and has acted as a consultancy for multi-national organizations, non-governmental organization and Ghana Government departments. Hannington Odame is a founding member and its interim Executive Director of the Centre for African Bio-Entrepreneurship (CABE). He has a keen interest in agricultural innovation systems as well as biotechnology, food security and smallholder innovations. 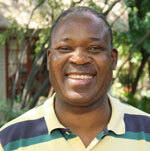 For the past 25 years, he has been gaining experience in agricultural knowledge sharing/learning. He has undertaken policy research and capacity building consultancy assignments for international and local agencies. He is pursuing a PhD in agricultural innovation systems (AIS) from the Institute of Social Studies (ISS) in The Hague, the Netherlands. This study builds on his MA in Agriculture and Rural Development from ISS and BSc in Agricultural Economics from the University of Guelph, Canada. 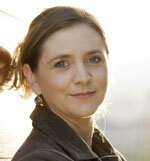 Ruth Hall is an Associate Professor at the Institute for Poverty, Land and Agrarian Studies (PLAAS) at the University of the Western Cape, South Africa. She holds a DPhil in Politics and MPhil in Development Studies from the University of Oxford. 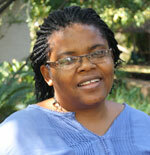 She works on land and agrarian reform in South and Southern Africa. She is a co-founder and co-convenor of the Land Deal Politics Initiative (LDPI) and the BRICS Initiative in Critical Agrarian Studies (BICAS), and is Southern Africa regional hub coordinator of the Future Agricultures Consortium. Gaynor Paradza has training and experience in policy development and management in strategic planning and corporate governance in relation to rural research design and analysis, publication Land and Agrarian Issues and Livelihood Vulnerability, and urban development planning, local, government administration and management, decentralization (rethinking governance). She has worked with and in national, provincial and local level government, NGOs and partners in the international donor community. Gaynor’s professional background spans across rural and urban planning, education, land tenure, HIV/AIDS, Orphans and Vulnerable Children. She has also formulated and managed regional policy programmes, raised funding and disseminated information through advocacy and extensive participation in conferences and publication. John Thompson has worked on power, policy and sustainability issues in food and agriculture, water resource management and rural development for nearly 25 years, in both developing and industrialised countries. He joined IDS in October 2006 as a Research Fellow in the Knowledge, Technology and Society Team. Previously, he served as Director of the Sustainable Agriculture and Rural Livelihoods Programme of the International Institute for Environment and Development (IIED), London, and Director of Research and Development of Just Food, New York City. He has authored more than 60 peer-reviewed articles, technical papers and reports, and is author and co-editor of several books. In addition, he has sat on several international task forces, advisory panels and editorial boards, and has worked as a Research Associate at the National Environment Secretariat, Kenya, a Research Fellow at Clark and Harvard Universities, USA, and a Fellow at the International Institute for Applied Systems Analysis, Austria. Development (SID), Michigan State University, East Lansing, USA. Beatrice Ouma is the Communications and Networking Co-ordinator for Future Agricultures. She lives and works in Nairobi, Kenya. Nathan Oxley is a communications professional with 10 years’ experience working with online communications, publications and events. He has been based at the Institute of Development Studies since 2009 and also works for the ESRC STEPS Centre, a partner organisation of Future Agricultures. The hub convenors have been promoting Future Agricultures work in the regions since early 2013. Watch short videos with the hub convenors talking about their work.